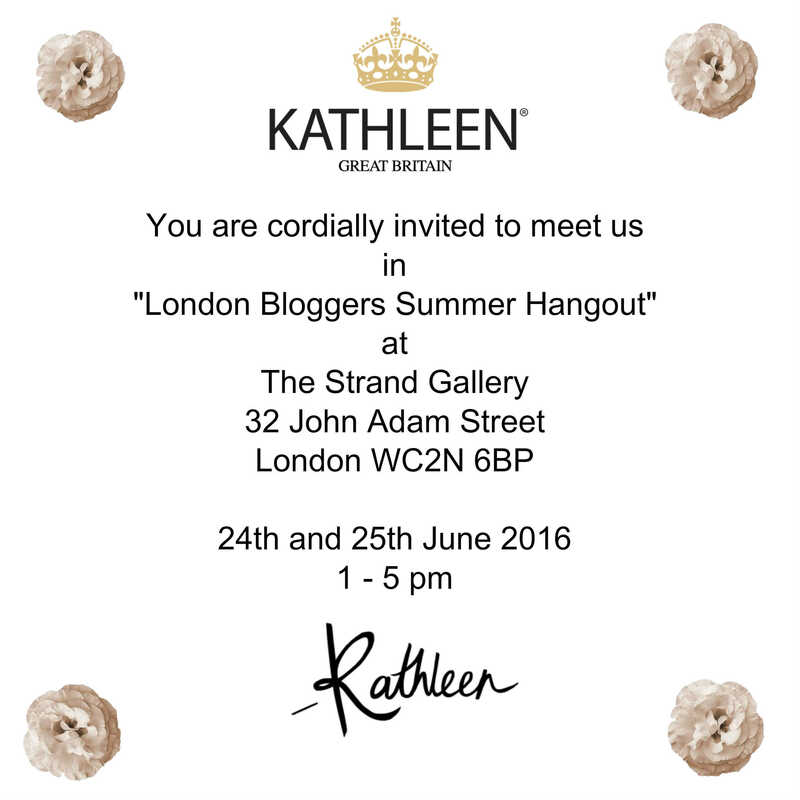 Central London, UK – KATHLEEN®, a luxury collection of natural & organic skin care brand announced today, they will join the Bloggers Summer Hangout event, taking place at the Strand Gallery, 32 John Adam Street, London WC2N 6BP on 24th and 25th June 2016 from 1-5pm, and introducing KATHLEEN® groundbreaking new products to all bloggers. You are invited to come and visit us. KATHLEEN® represents the perfect collaboration of scientific research, experience and advanced technology. Our products are created from blending precious plants, marine extracts and essential oils. We now stand as the expert in Ageless Glow Formulation for all skin types including hypoallergenic skin.